In the early 2000s, I worked with a UNDP (United Nations Development Programme) project which promoted Community Participation and Development in Bulgaria. Its aim was to encourage and support a network of local organisations, called chitalishte, to address problems in their towns and villages resulting from the collapse of the Soviet Union. I worked closely with Emilia Lissichkova, the project’s coordinator, and when we started the Abergavenny Food Festival I invited her to visit us. She spent two weeks with us and during her time in South Wales she visited many community organisations. She was particularly impressed with the Abergavenny Food Festival and the way it involved the wider community. Our Festival inspired her to encourage chitalishte to start food festivals in their own villages and towns. In September 2017, I visited Bulgaria and met with her. She now runs her own local NGO, Agora, which works with chitalishte and she told me that several chitalishte have started food festivals, which are growing and expanding in the same way ours has. 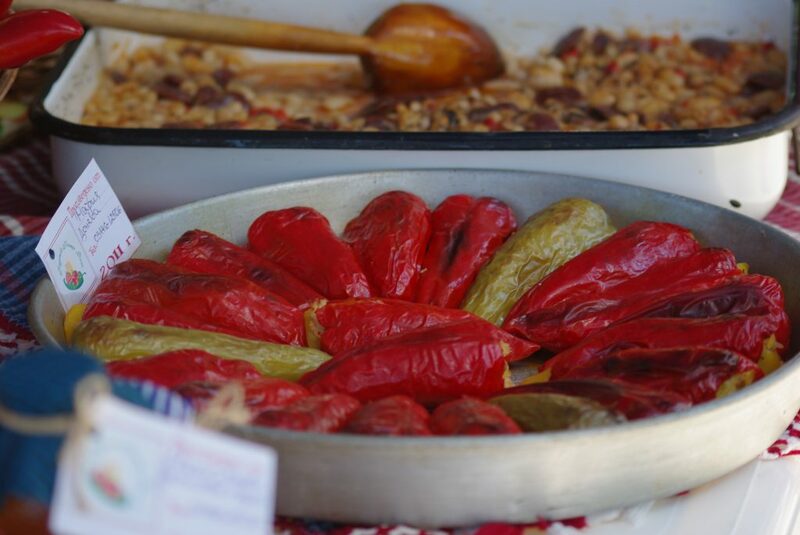 Their food festivals celebrate local produce, such as peppers and tomatoes, and traditional Bulgarian dishes. The dishes are made and served by local women dressed in their bright traditional dresses. More recently, several festivals have linked up with local vineyards and winemakers to showcase and celebrate Bulgarian wines. 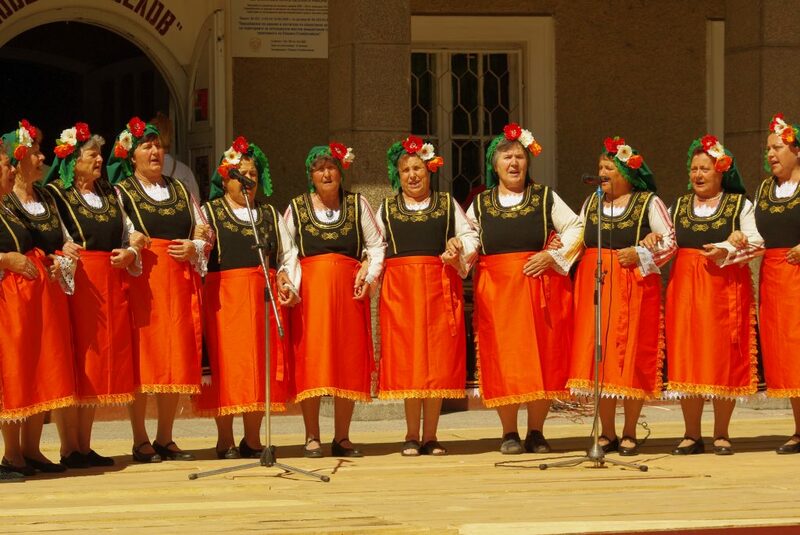 The festivals include cultural activities (Bulgarian singing and dancing) and are sometimes opened and blessed by the local Orthodox priest. 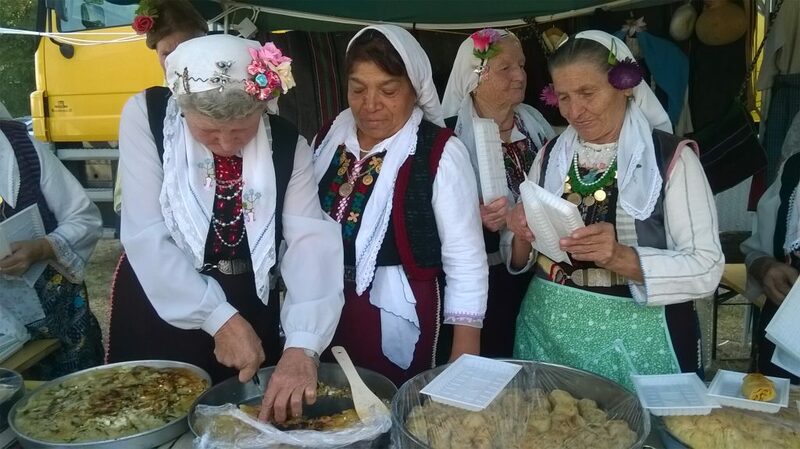 The food festivals in the localities attract visitors from Bulgaria’s capital Sofia, and tourists from other European countries travel to experience what these Bulgarian food festivals have to offer. These visitors bring a much-needed boost to local economies, as towns and villages have become almost deserted due the exodus of people, especially the young, leaving to find work in Sofia, and further afield to the UK.